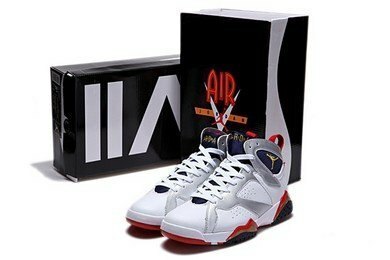 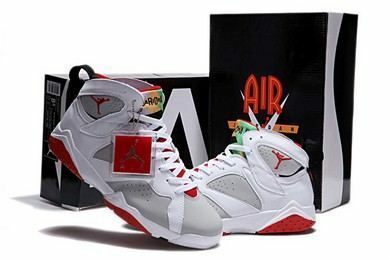 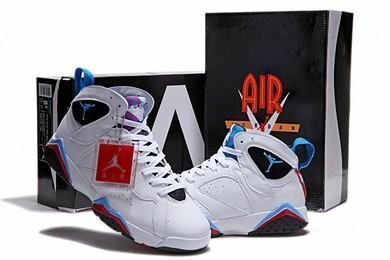 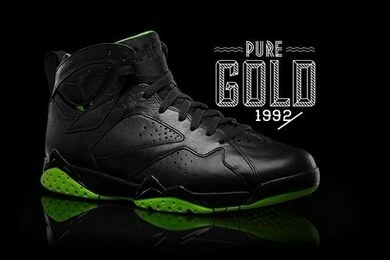 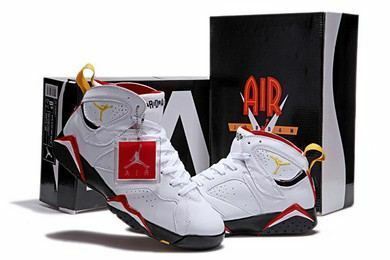 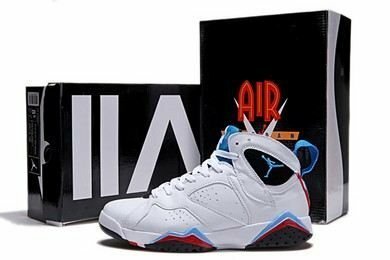 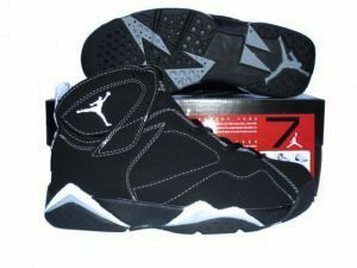 The Air Jordan VII was released in 1992 with a new design by Tinker Hatfield. 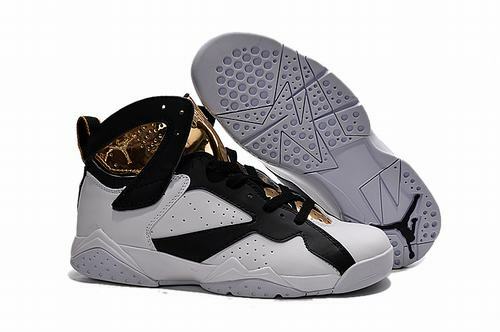 This shoe introduced the huarache technology to create a sole with more grip to the basketball court. 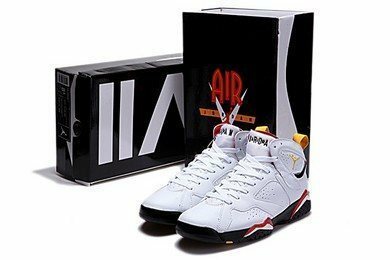 A few things were no longer featured on the new model, such as the visible air sole, the Nike Air logo, and the yellowing soles. 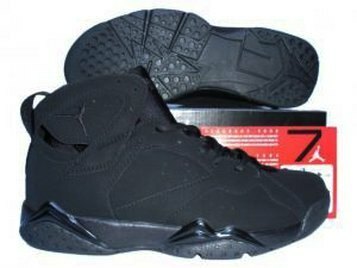 This was the first Air-Jordan in the line that did not have any distinctive "Nike Air" on the outer portions of the shoe. 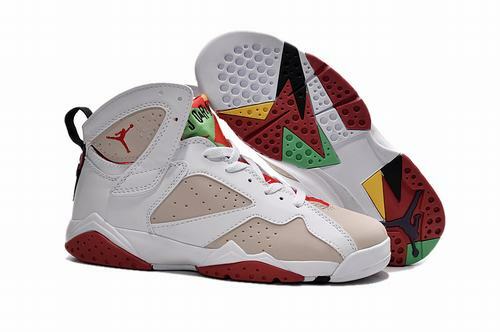 The "Nike Air" can be found on the in-soles. 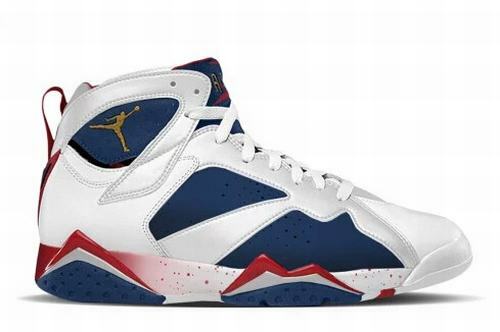 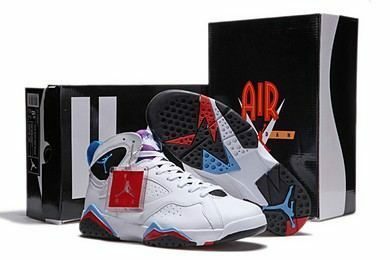 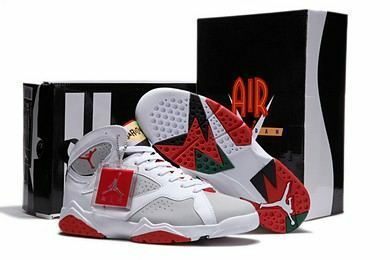 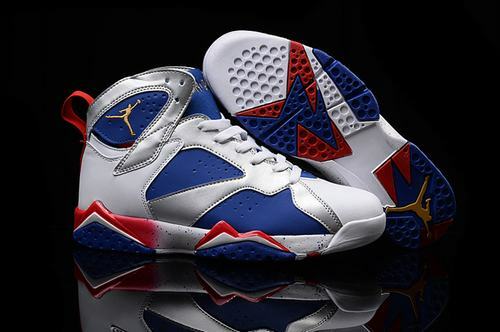 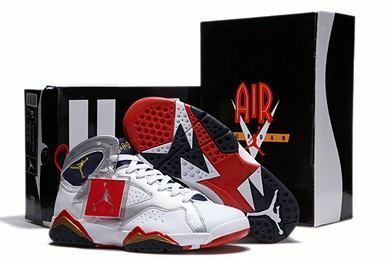 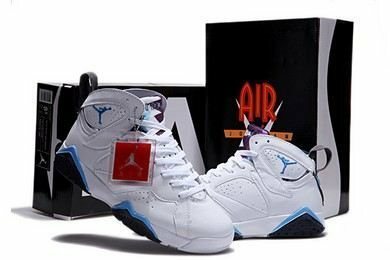 When Jordan went to compete at the 1992 Barcelona Olympics to play for the US Men's Basketball Team (also known as the "Dream Team"), Nike released a special Olympic color combo of the Air Jordan VII model which had Jordan's Olympic jersey number, 9 even though most of the jordans that were made, especially the Air Jordan VII had a "23" on the back. 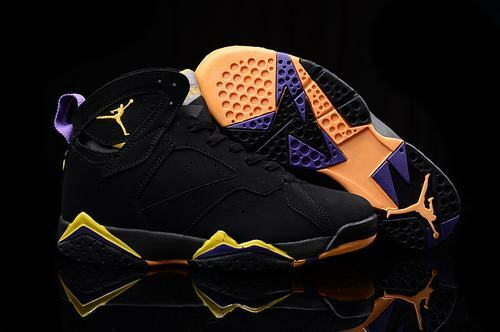 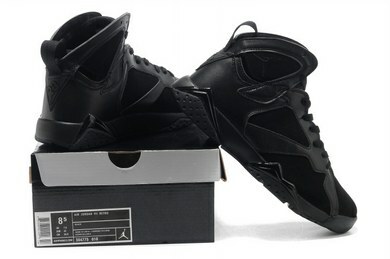 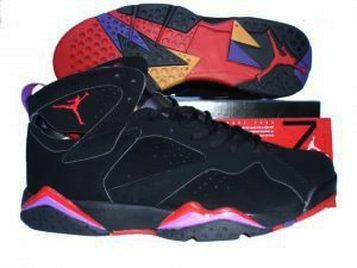 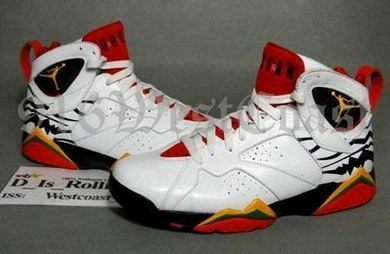 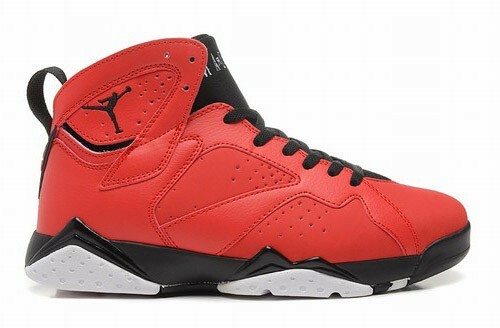 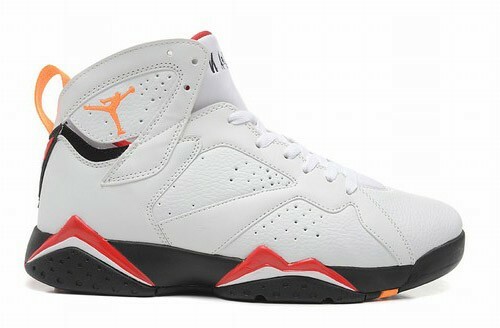 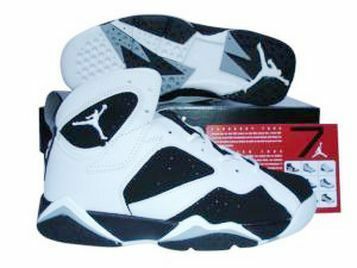 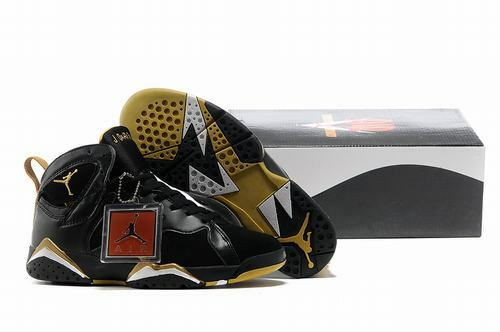 Various models of the Air Jordan VII were re-released in 2002, again in 2004, and again with different colors in 2006. 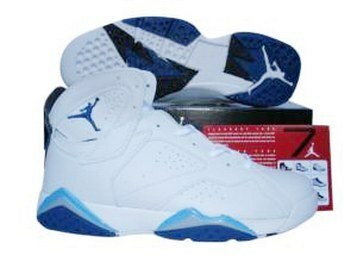 Also in 2008 Nike released a black and blue pair owned only by Cheikh Mbacké, ordered for $600. 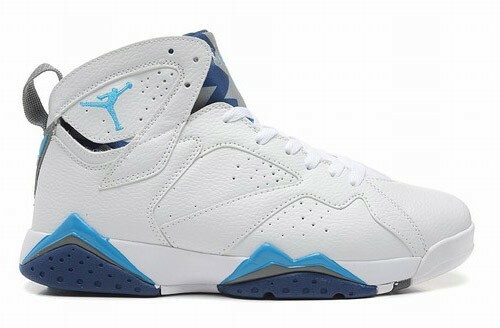 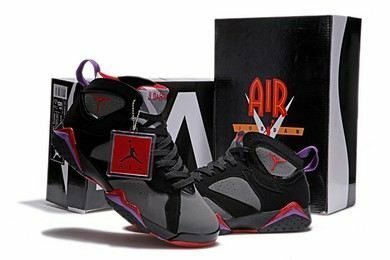 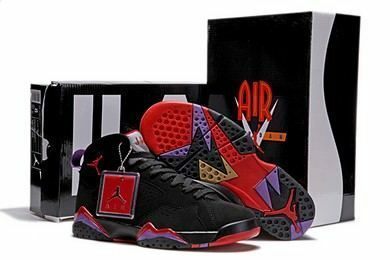 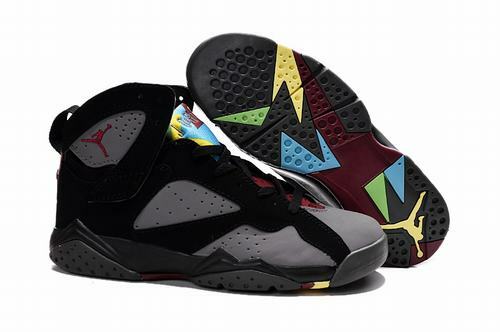 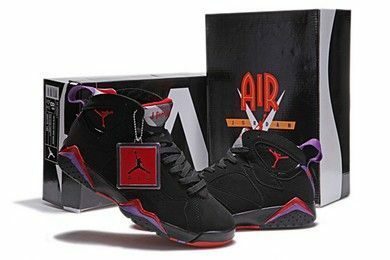 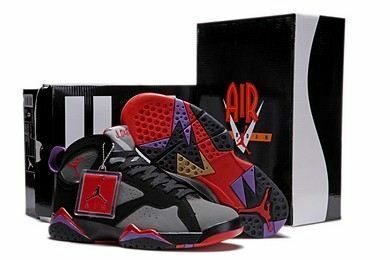 In 2011 the Air Jordan VII saw releases in the "Orion" and "Bordeaux" colorways. 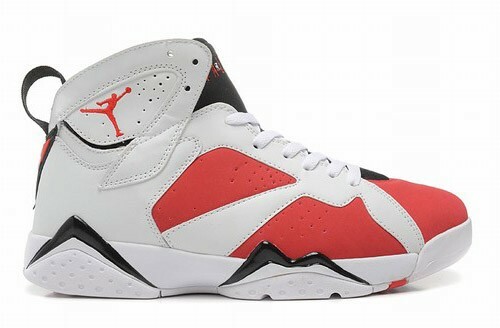 Other colorways are confirmed for a 2011 release as well, such as the "Cardinals" which is a re-release and "Year of the Rabbits". 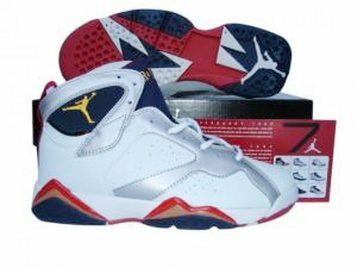 The "Olympic" and "Charcoal" (un-commonly referred to as Raptors) were re-released in 2012. 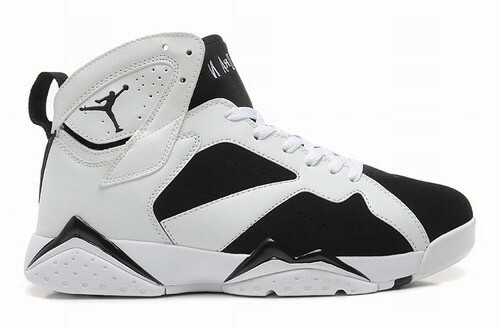 The Air Jordan VII was originally released in 1992. 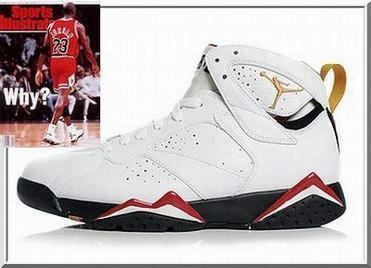 It was retroed in 2002, 2004, 2006, 2008, 2009, 2010, 2011 and 2012.